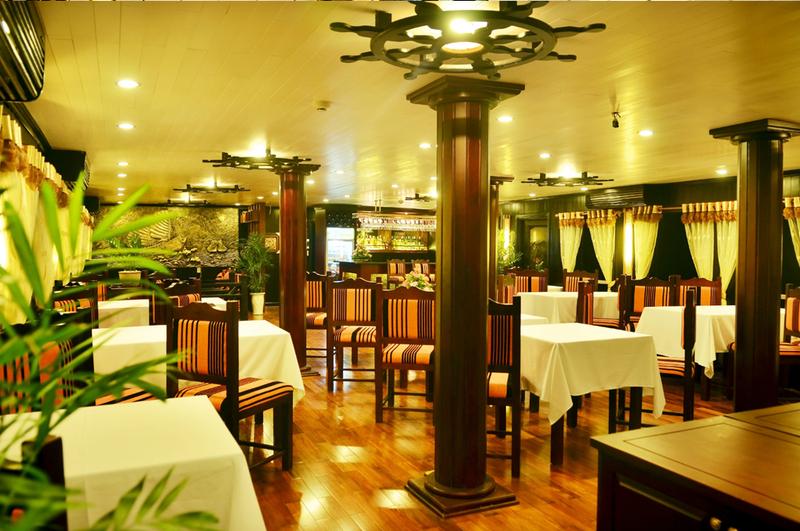 A traditional junk with modern facilities, Treasure Cruise is a great choice for your fabulous trip in Halong Bay to explore its gorgeous beauty and local life. What do experienced passengers talk about Treasure Cruise? 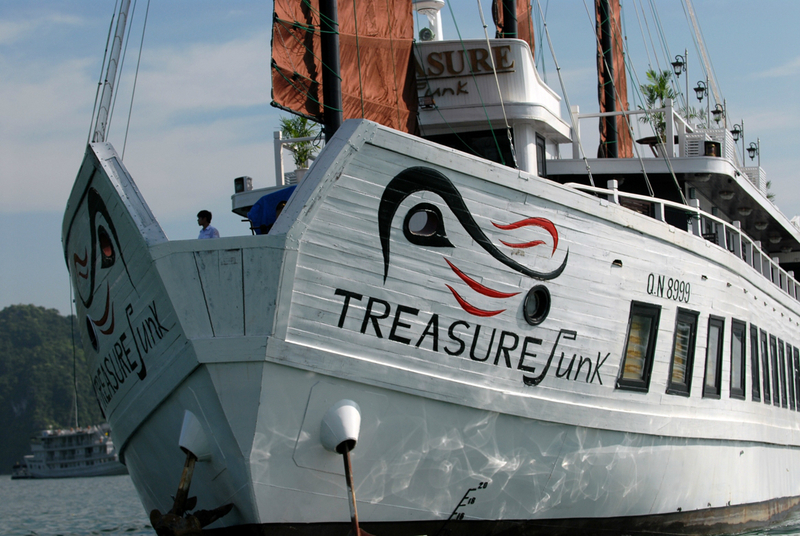 A wooden junk style built on a solid structure, the Treasure Cruise has an excellent ability to navigate in any seabed of Halong Bay region, even when the sea is rough, therefore ensuring your safety all the time. 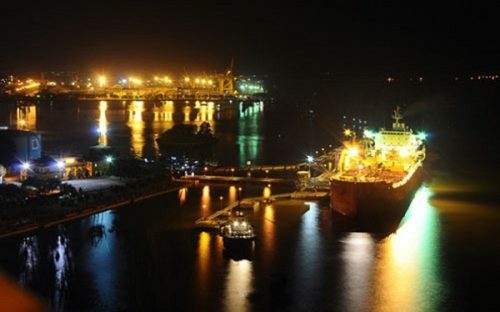 If you consider your safety as the most important thing when traveling, the Treasure Cruise, where passengers’ safety is the priority, should be an ideal option. Moreover, when it comes to security onboard, even though there are no safes in the rooms, the corridor equipped with security cameras, the safe on the second floor to keep your items and the doors to the cabins including locks are for your peace of mind. 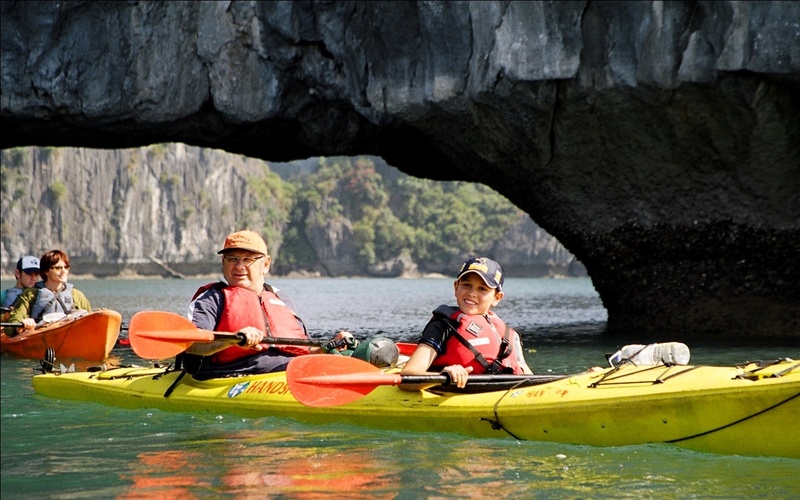 Rowing the kayak on your own through these magical limestone and small caves to explore uncountable stalactites endowed with strange shapes is the most fascinating activity you can take part in with the Treasure Cruise to explore the beauty of Halong Bay – Bai Tu Long Bay. Kayaking with Treasure Cruise, you will paddle through islets, get access to unspoiled beaches, hidden caves, lagoons, and colorful floating fishing villages such as: Vung Vieng fishing village, some of which cannot accessible by big boats. 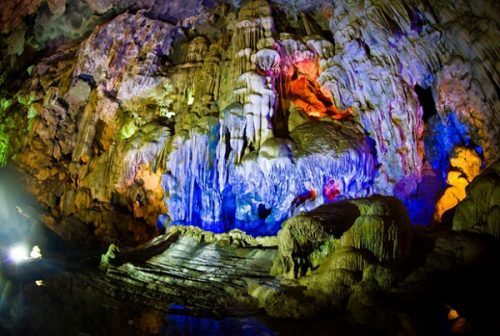 In addition, paddling around the islands is also your chance to escape from any other boats, get closer to karsts formations and enjoy the magnificent nature in a less visited corner of Bai Tu Long Bay. What a great experience for life! With Necky kayaks, excellent quality equipment imported from Canada and maintained carefully, there is no need to worry about your safety when kayaking with the Treasure Cruise. You should not miss an amazing opportunity to experience kayaking with the Treasure Junk to immerse in all the majestic charm of the bay and discover all the stunning cliffs. 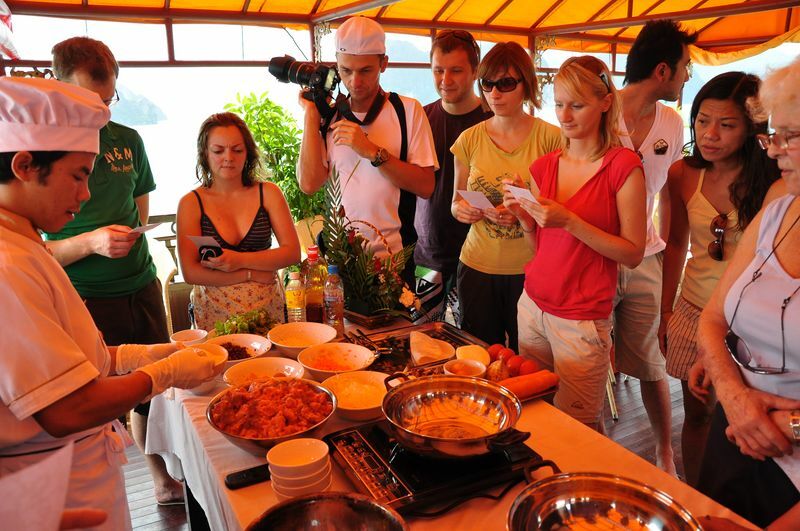 A chance to take part in Vietnamese cooking class while floating on Halong Bay water should be one of the best activities awaiting you on Treasure Junk. Having so much to offer, Vietnamese cuisine is unsurprisingly well known all over the world. Perfectly displayed together in a single dish can be so many different flavors. These well trained chefs of the Treasure Cruise will help you discover the secrets of Vietnamese cooking techniques, from salads and soup to dipping sauces and spring rolls. However, cooking classes are held only when there are enough guests on board. Therefore, if you go on a trip to Halong Bay with Treasure Cruise in low season and cannot participate in a cooking course due to the lack of participants, do not be sad, let’s take your time to enjoy other interesting activities offered. Cruising with Treasure Junk, which collaborates with local authority on the area’s sustainable development by protecting the natural areas, hiring and training local people, you will purchase exclusively local fresh products, join yearly organized cleanup campaign in the area and contribute to the big environmental project in Vung Vieng floating village.